Feel all the emotions of a real race with all the excitement and glory. 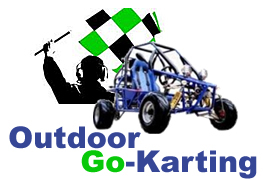 Let us organize your team building day with an exclusive Grand Prix!!!!! If you and your colleagues are looking for an exciting, fun filled activity or you are an employer looking to incentivise your staff this is the experience with all the elements. line-up. After a short break, comes the main race, a 10 lap race to the finish. The event will end with a winner’s podium celebration, trophy for the winner and of course a bottle of Champagne.